Public opinion has become an important social and economic “actor” in the current financial and economic crisis, and that is one of the most important findings of the survey carried out by the Pew Research Center, an American think tank, on the attitudes of Europeans. The study revealed that Europeans have never been so sceptical about the integration process as they are today. Thus, Pew concluded, the new sick man of Europe is the EU itself. The “sick man” label has generally been attributed to Russian Czar Nicholas I in his description of the Ottoman Empire in the 19th century. Around the turn of the millennium it was Germany to which this label was applied – however, it has since become the EU’s largest and pre-eminent power centre not only in political but also in economic terms. The German model has become a reference point for a number of EU countries. Recently, France has received the “sick man” label because of its poor economic performance, unsustainable level of public spending and its weak and unpopular government that is incapable of handling the crisis. But this time is different. The EU has never been as “unpopular” as it is today. According to the Pew survey (carried out in Germany, Britain, France, Italy, Spain, Greece, Poland and the Czech Republic in March 2013), only 45% of citizens have a favourable opinion of the EU, down from 60% in 2012. 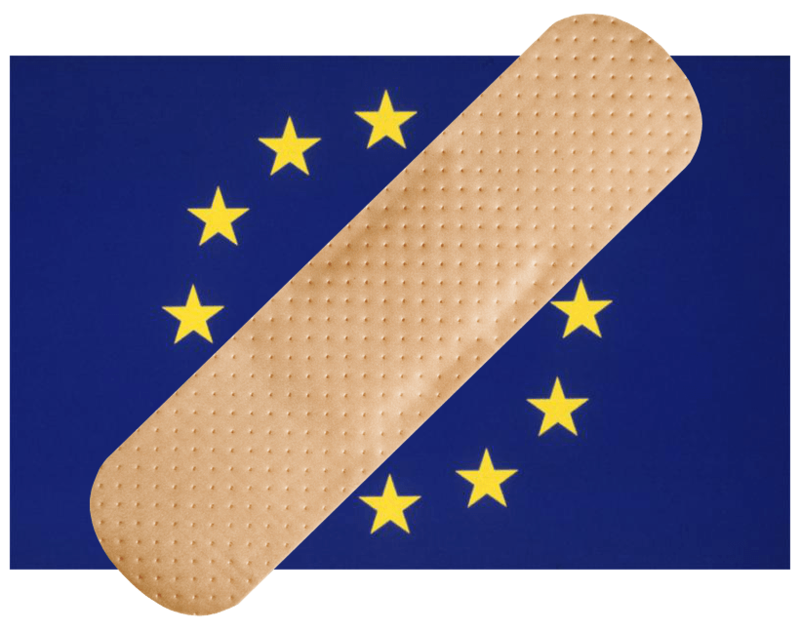 Also, support for economic integration – the “raison d’etre” for creating the European Community, the EU’s predecessor – has declined from 34% to 28%. In addition, apart from German Chancellor Angela Merkel, all national leaders are held in disrepute. These results coincide with a recent Eurobarometer survey, in which the European Commission’s polling body asked people in all the Member States whether the EU “conjures up a positive image” for them. In this survey only 30% of EU citizens said they had a positive image of the EU, which is the lowest ever level. This is not so surprising if we take into account the impact of the crisis. The negative image of the EU, however, is being spread not only in the “periphery” but also in the “centre”. Although the level of dissatisfaction varies – in the Pew research, the proportion of respondents having a favourable view of the EU decreased by 8 percentage points in Germany, while the decline was a respective 14 and 19 points in France and Spain compared to last year –, the Eurobarometer survey shows a huge deterioration of the EU’s image not only in the Mediterranean countries but also in the North, including Germany. This, at first glance seemingly striking fact is explained by the perceptions of the population according to which the northern countries, who are in general net contributors to the EU budget, think they are “paying too much”. On the other hand, the most embattled southern periphery countries that diverge in economic terms from the centre and are struggling with serious competitiveness problems and lack of growth, might think that they are “getting too little” from the richer Member States. Even if the perception of the economy in Southern Europe looks particularly bleak (in Spain and Greece more than 70% of respondents said that “economic conditions are very bad”), support for the euro remains strong. The data from Greece indicate that 69% of Greeks would stay in the eurozone. This is a sharp “response” to those economists (mostly in the US but also some in Europe) who think that Greece would gain a lot in competitiveness by leaving the euro area and by devaluing its currency. In Spain, support for the euro has increased from last year despite a surge in unemployment. Do not trust the stereotypes! The survey also refutes some stereotypes. The large majority (59%) of respondents do not share the view prevalent in the U.S., of spending more to stimulate the economy, but rather prefer reducing government spending and public debt. Thus, Europeans do not reject the handling of the crisis by the European Commission and Germany, although they are impatient about seeing it bear fruit. And there is other breaking news about the Germans that contradicts a priori thinking: they are among those who see inflation as being the least of a problem, but are concerned most about inequality and are most willing to provide financial assistance to other EU countries. All in all, the historically low popularity of the EU does not mean that EU citizens want to abandon the euro or the EU. They are “only” dissatisfied with its functioning and its leaders, presenting a great opportunity for the deepening and reforming of the EU. On the other hand, to gain public support for this will be the greatest challenge of the coming months and years.